OBA was a project of independent game initiated by Beckoning Cat on his own and supported by The Icehouse collective. It was thought as an action/adventure game for PC, reminscent of famous console games such as the Zelda series or Ico. The main character, Oba, had the power to use nature and could invoke grass, flowers, trees and even animals. Animals could follow Oba everywhere and help her kill her ennemies, while the trees could be destroyed to make fire. Or you could just take their fruits to increase your HP. Several portals were to be found in the Kingdom, and each of them were under the protection of a dark eye. If entering a portal would heal you and save your game, in return it would call for more and more ennemies around, for as long as you would stay inside it. 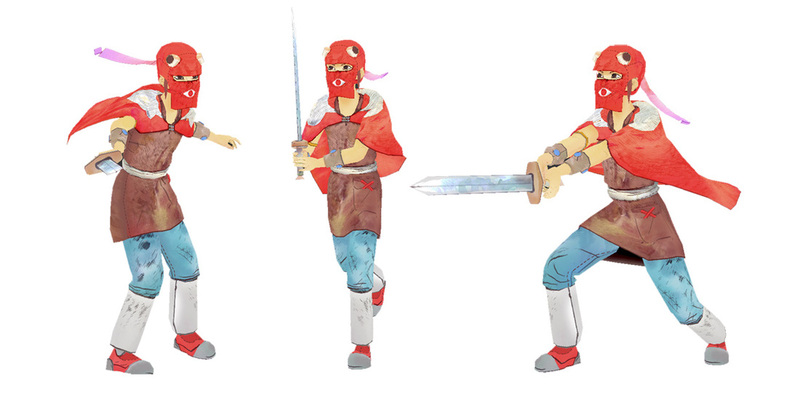 Oba would have to use her powers and skills, including her sword, to defeat the ennemies. OBA prototype was developped with Unity 4 in a few weeks. However Beckoning Cat believed that the gameplay was probably not good enough and that it was complicated for a single person to polish and finish such an ambitious project on his own. It will be obvious that the project could never ever release in its existing form. However, we are also confident that, with the help of The Icehouse indie creator's collective, the project may come back in the future using a different approach (comic book, new game, or anything else?). Yet, for now, that is just a dream, and the developer has taken the decision to share his canceled prototype version with everyone in order to show and explain what happened! Please read the instructions below and enjoy the beginning of the game. Run .exe and use keyboard/mouse to control Oba.